Rick Saul, Ph.D. has over 25 years experience in the clinical diagnostics arena and is currently the President of Axo Diagnostics, LLC. Founded in mid 1998, Axo Diagnostics, LLC is a Maryland based company that offers unique and customized services to the bioscience and medical diagnostic community. These services include assisting companies in the areas of technology assessment, contract development of diagnostic assays and automated detection technologies, and scientific multimedia production, including video production, Flash animation and poster/publication graphic arts. Recent activities have focused on developing automated proteomic technologies as a sub-contractor for the National Cancer Institute. Prior to co-founding Axo Diagnostics, Rick managed and directed research and development in the diagnostic and bioscience industry for 13 years, including positions at Clinical Assays, Polaroid-Behring Diagnostics, Baxter Diagnostics, Igen, and as the Vice President of Development at Celsis International. During this period, he was responsible for the research and development of more than 25 diagnostic products in the clinical chemistry and rapid microbiology testing arenas, with experience in all aspects of product development. This experience has included new technology development, assay development using various detection technologies, systems development for both small unit-dose devices and high throughput instruments, management of marketing and regulatory activities, and directing the technical and manufacturing support of finished products. In addition, he has managed multi-million dollar development agreements with several international bioscience companies. 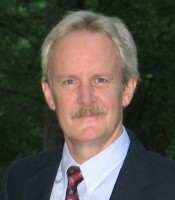 Rick received his Bachelor of Science degree from Hampden-Sydney College (Hampden-Sydney, VA) and his Ph.D degree in Biochemistry from Virginia Commonwealth University’s Medical College of Virginia (Richmond, VA). He spent 2 years in post-doctoral training in the Biochemistry department at the University of Texas Health Science Center at San Antonio. Dr. Saul has no relevant financial relationships to disclose.